The Difference between Medical Care and Medical Negligence. We trust medical and dental professionals to deliver consistent, high quality care but, unfortunately, they can make mistakes that have catastrophic consequences, which can result in life changing injuries and even death. 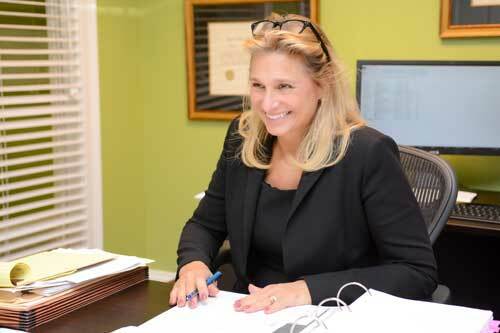 Our medical and dental malpractice attorney, Daphne S. Withrow, RN, is also a licensed medical professional, which means we offer unique insight into the health care field and the applicable standards of care we all deserve. In fact, Daphne recently served as co-counsel on a landmark medical malpractice case, which resulted in a $60 million jury verdict. If you believe you have been the victim of medical or dental negligence, please contact us for a no charge consultation. We can evaluate your individual situation with attention and true care to determine if we can help secure justice for you and your loved ones. Our real-world health care experience is essential in understanding exactly what type of care you received, the manner in which you received it and what your road to recovery will involve. Our firm excels at handling complex medical and dental malpractice cases in both South Carolina and Georgia, including medical and dental diagnostic and treatment errors, medication errors, nerve injuries, birth injuries, wrongful death and more. We have successfully secured settlements and recoveries on behalf of our clients who were injured due to medical or dental negligence. We work to determine if your injury was caused by the negligence of your health care provider and if the care and treatment provided to you fell below the accepted standard of care, which should be afforded to all patients, regardless of pre-existing conditions. Keep in mind that state laws vary as to how much time you have to file a lawsuit for medical or dental malpractice. Therefore, it is imperative that you seek legal advice as soon as possible. Time is truly of the essence! If you have been injured due to the negligent actions of your health care providers – including doctors, dentists, oral surgeons, nurses, dental hygienists or any other medical practitioners – we are here to help you receive the compensation you deserve and can guide you through the process with real care. How Do I Know If I’ve Been A Victim Of Medical Malpractice?